Pam Rogers is a painter/sculptor whose work explores the territory between the nature and the role of the artist as they engage with nature. Born in Boulder, Colorado, Rogers has a BA in art history from Wellesley College, an MFA from the Savannah College of Art and Design, and a certificate in botanical illustration through a program in Kew Gardens, England. Additionally, she has studied art history and anthropology at the University of Colorado in Boulder. After six years in the competitive residency program at the Arlington Arts Center in Arlington, Virginia, Rogers has recently relocated her studio to Denver, Colorado. 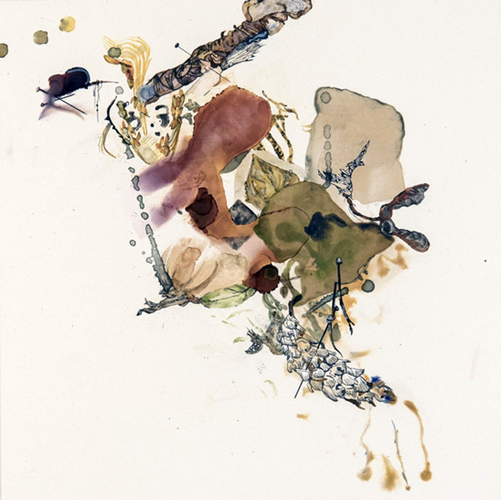 Her work has been exhibited internationally as well as national, including recent solo shows at the Reston Arts Center and The Arlington Arts Center in Virginia and Hillyer Art Space in Washington, D.C., The Gintner Botanic Gardens, Richmond, VA as well as the Swan Coach House Gallery, Atlanta GA Rogers has worked on numerous curatorial projects and received a fellowship with the DCAC Curator/Mentor Program. She was a 2015 Sondheim Semi-Finalist and she has received fellowships at multiple artist residency programs, including the Ucross Foundation, Hambidge Center for the Arts, I-Park, Ragdale Art Center, Mass MoCA, and Virginia Center for Creative Arts and Brush Creek Arts Foundation. Rogers continues to work as an independent illustrator on various projects for the Anthropology Department.